“For do I now persuade men, or God? Or do I seek to please men? For if I still pleased men, I would not be a bondservant of Christ” (Galatians 1:10). 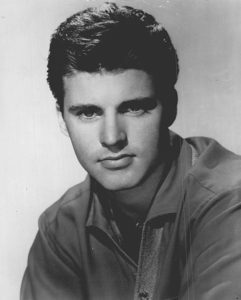 Rick Nelson was an American singer/musician who had an impressive string of hit records in the late 1950’s – early 1960’s. But as musical tastes began to change over the course of that era, Nelson’s style of music fell out of favor and the hits began to trickle to a stop. The million-selling artist subsequently fell off the music charts and by 1971, he had been invited to perform at an “oldies” concert in New York’s Madison Square Garden. During that concert, Nelson attempted to introduce some new material to an audience that came to hear him play his old hits. The audience began to boo the unfamiliar music and he responded by leaving the stage. The disillusionment generated by that experience led Nelson to write what would become his last hit single- 1972’s Garden Party. One interesting aspect of Garden Party is a refrain that functions as a worldview for many: “But it’s all right now, I learned my lesson well. You see, you can’t please everyone, so you got to please yourself.” (1) While Rick Nelson found it impossible to please everyone, the question of who we should please first is much more relevant. For some, the answer is “myself” or a circle of others. For the Apostle Paul, the answer was God. Let’s first consider the example of a person who lives to please him or herself. The problem is that this kind of person is not often viewed in a positive manner. Such individuals are usually criticized for a possessing a selfish, narcissistic, or “me first” attitude. On the other hand, a person who seeks to please others first may be viewed with contempt as someone who is fickle, inconsistent, hypocritical, or goes along with the crowd. (2) Life Application Study Bible NKJV Galatians 1:10 Copyright © 1988, 1989, 1991, 1993, 1996, 2004 by Tyndale House Publishers Inc., all rights reserved.